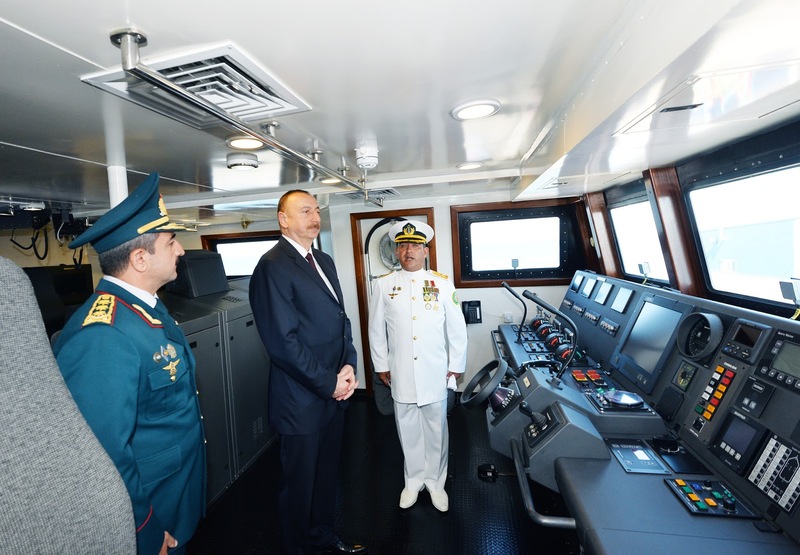 The lead ship in the Azerbaijani Sa'ar 62 the class during an exercise. 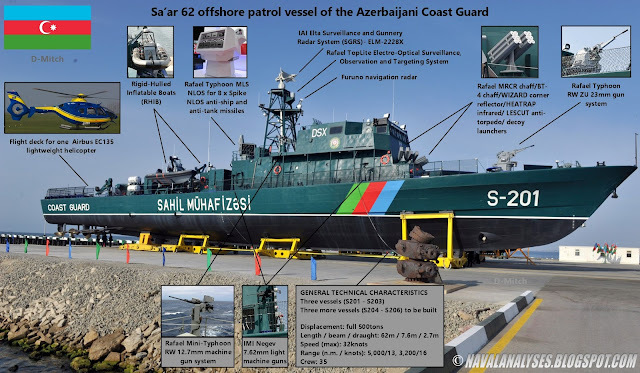 The almost 500-ton Azeri Sa'ar 62 class vessels are equipped with a variety of modern electronics and sensors (including an anti-diving sonar system) and have a very impressive armament for their size and especially for a coast guard vessel. 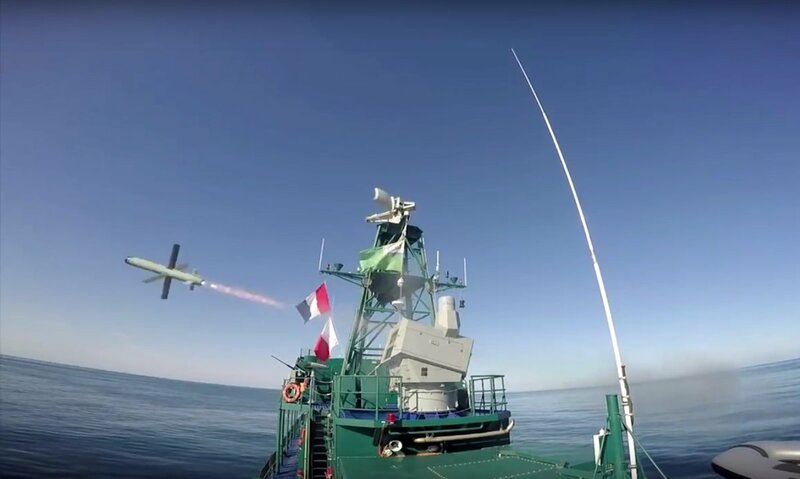 Armament comprises a 23 mm ZU cannon in a Rafael Typhoon remotely controlled weapon system (RCWS), Rafael's Typhoon MLS-NLOS (Non-Line-Of-Sight) eight-cell launcher with an integrated electro-optical (EO) device for firing the 25 km Spike NLOS Fire-and-Forget (as well as Fire-and-Observe and Update modes of operation) anti-ship /anti-tank/anti-personnel guided missile with a tandem-charge HEAT warhead (each boat carries 20 such missiles in total), two 12.7 mm heavy machine guns in Mini Typhoon RCWS mounts and four pintle-mounted 7.62 mm IMI Negev light machine guns. 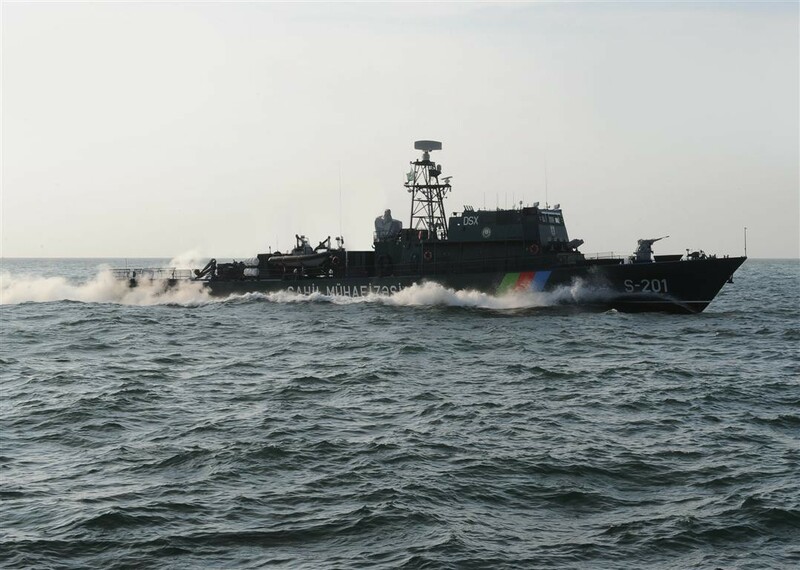 The vessels are protected by four 12-barrelled Rafael decoy launchers for a variety of decoys including anti-torpedo decoys. 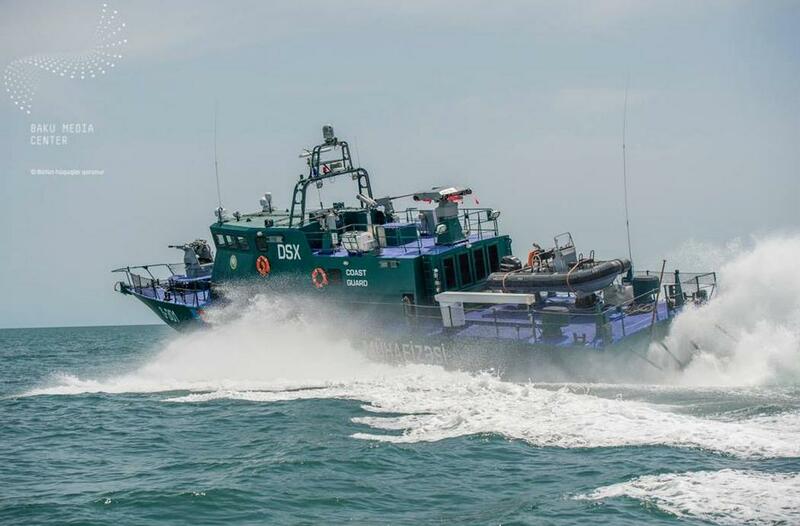 Each vessel carries two RHIB and has a flight deck capable to embark a light helicopter such as the Airbus EC135. 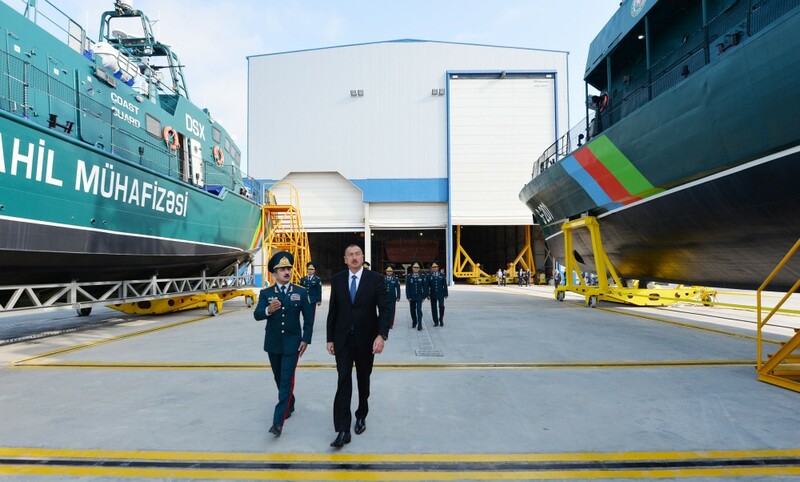 The first boat in the class, the S-201, was delivered in September 2016, the second in June 2016 and the third vessel, just recently, in January of 2017. Three more vessels are under construction. 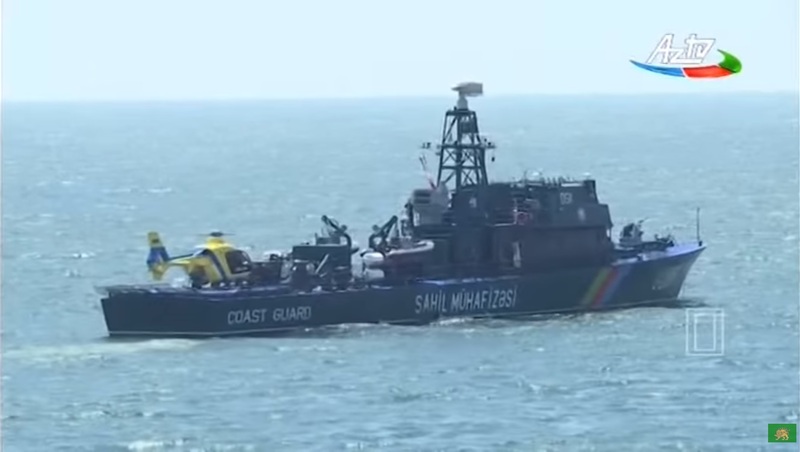 It should be mentioned here, that Greece has a similar class in service, the Sa'ar 4 class OPV based also on the Sa'ar 4.5 class vessels, but the Greek vessels are much lighter armed than the Azerbaijani boats. Sa'ar 62 class offshore patrol vessel of the Azerbaijani Coast Guard. High resolution image here. The 100-ton Shaldag Mk V patrol vessels have about half the length of the Sa'ar 62 OPVs that were described earlier but are almost 10 knots faster. 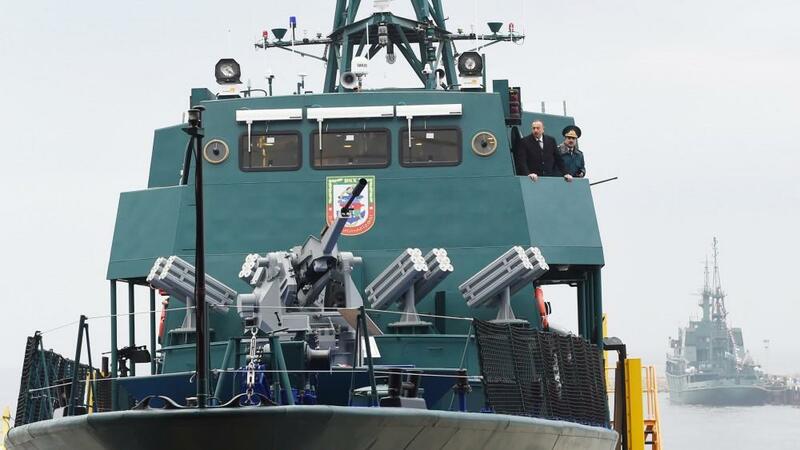 They are also heavily armed including Armament includes a 23 mm ZU cannon in a Rafael Typhoon remotely controlled weapon system (RCWS), Rafael's Typhoon MLS-ER (Extended-Range) four-cell launcher for firing the 8 km Spike ER Fire-and-Forget (as well as Fire-and-Observe and Update modes of operation) anti-ship /anti-tank/anti-personnel guided missile with a tandem-charge HEAT warhead, two 12.7 mm heavy machine guns in Mini Typhoon RCWS mounts and four pintle-mounted 7.62 mm IMI Negev light machine guns. 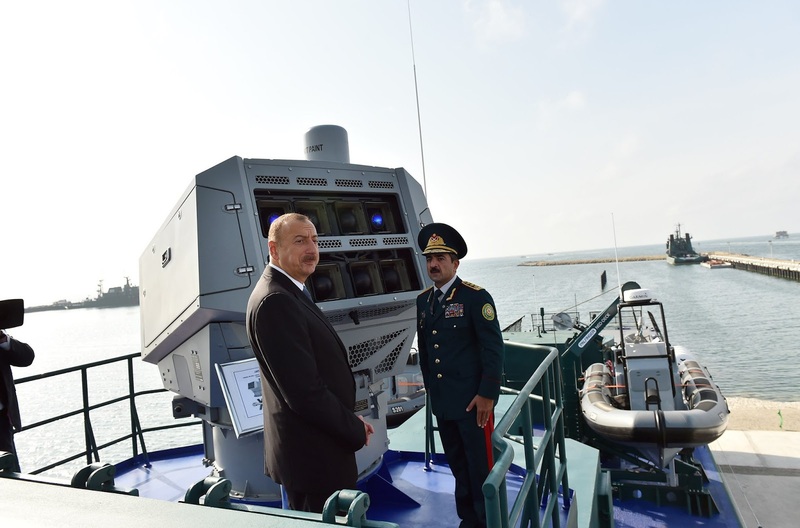 The Typhoon MLS-ER is using the ship surveillance pod (e.g Toplite) to locate the target and slave the system turret to the target direction. The penetration for the Spike ER is around 1,000 mm (39 in) of RHA. All six (6) Shaldags built to date are operational. 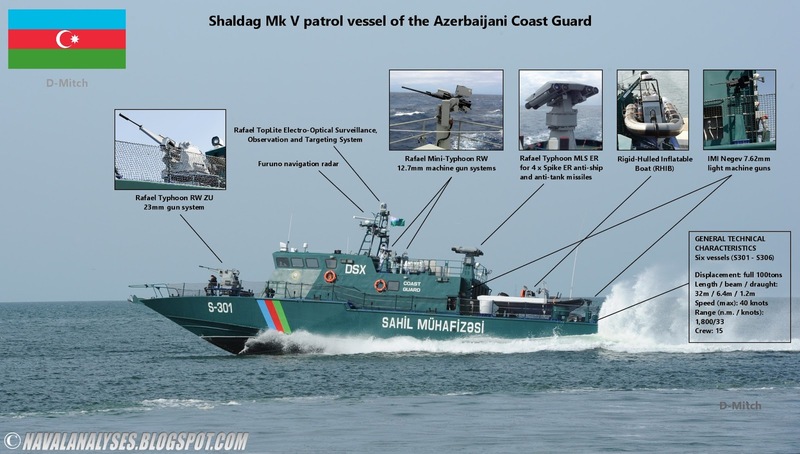 Shaldag Mk V class patrol vessel of the Azerbaijani Coast Guard. High resolution image here. 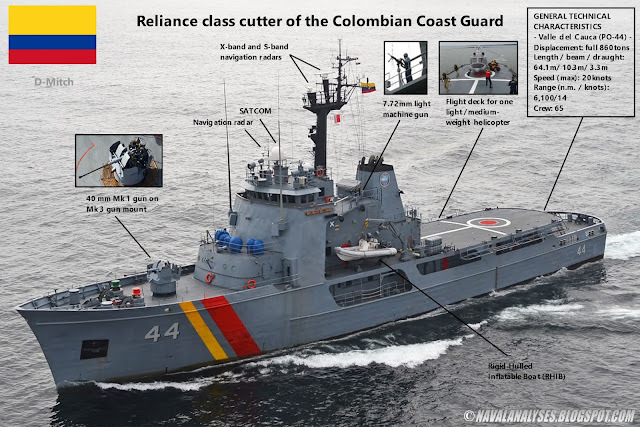 The largest vessel of the Colombian Coast Guard today, is the ARC Valle del Cauca, a Reliance class cutter (Medium Endurance Cutter or WMEC) of the United States Coast Guard, the former USCGC Durable (WMEC-628). The boat was commissioned in 1968, retired in 2001 and transferred to Colombia in 2003 without its armament (Mk38 Mod 0 25mm chain gun and M2 heavy machine guns). The boat had already undergone a $28 million refit known as a "Major Maintenance Availability" the period 1986 - 1989. The refit included improving habitability, improving stability by rearranging tank locations, replacement of all asbestos paneling, increasing the berthing space, upgrading the flight deck and helicopter equipment, increasing the amount of helicopter fuel carried, improving the evaporator, increasing and upgrading the communications and electronics systems, and adding a new smoke detection system and fire-fighting equipment. The most obvious change, however, was the removal of her problematic stern exhaust system and its replacement with traditional vertical exhaust stacks. 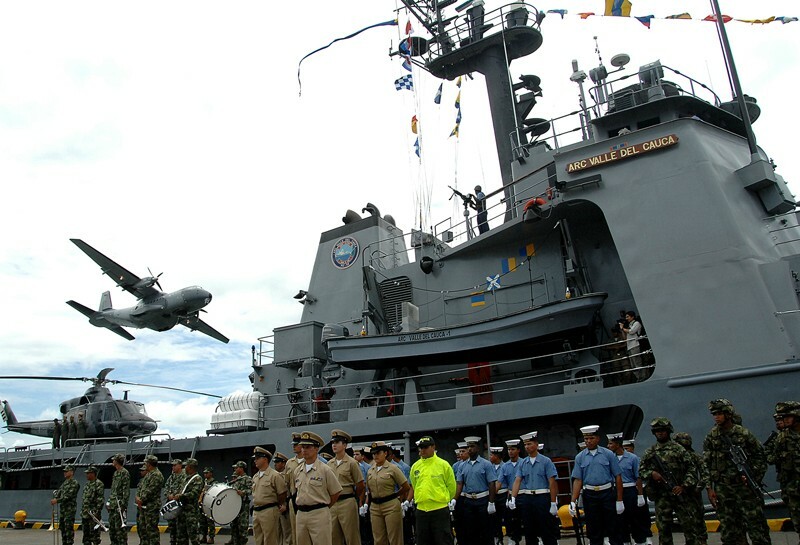 Commissioned into Colombian service in 2003, Valle del Cauca had her navigational, fueling, and aviation systems upgraded. 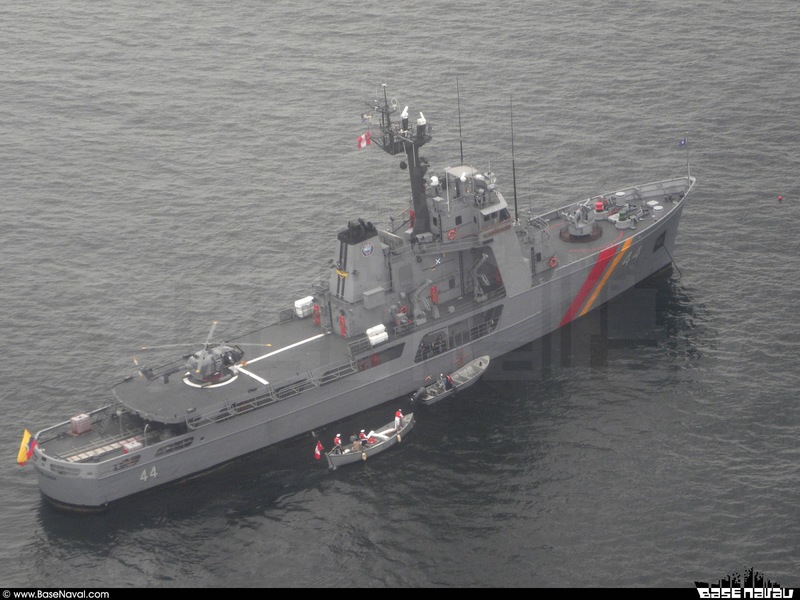 She is assigned to the Colombian Navy's Pacific force, homeported at Bahía Málaga. 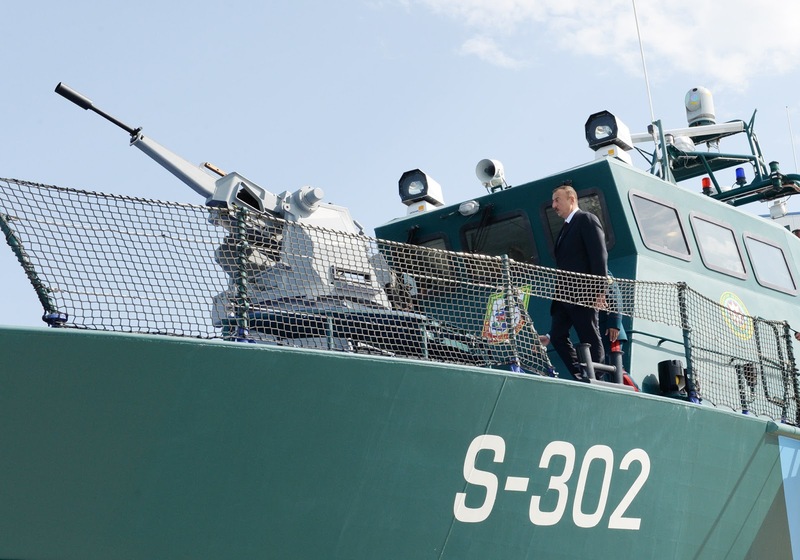 In Colombian service, the cutter received a pair of light machine guns and at the bow an old 40mm gun mount. Reliance class offshore patrol vessel of the Colombian Coast Guard. High resolution image here.